Thanks to Abdullah Ghatasheh for this awesome Mockup! 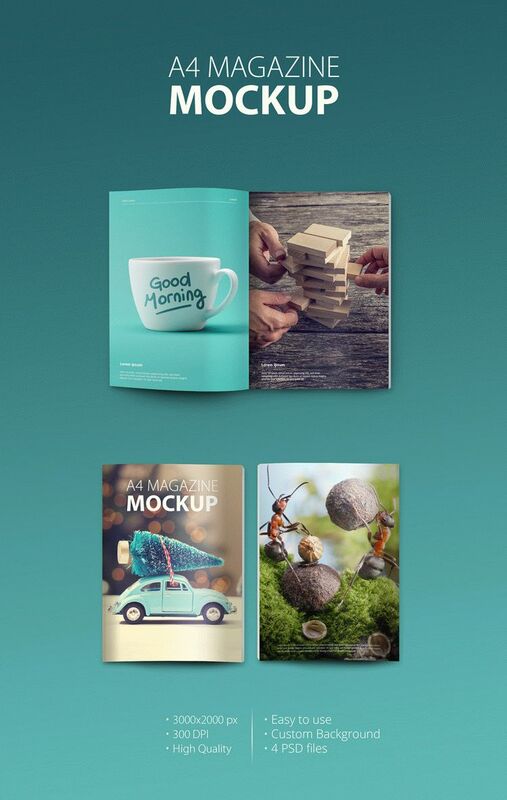 This is photorealistic Free PSD A4 Magazine Mockup. Download it Free for promoting products, for showcasing the necessary designs and making presentations. This free PSD mockups that is print-ready products can be customized using Photoshop. Have no problems with fully layered mockup where all the objects are separate. Hope this awesome mockup will be useful for you!